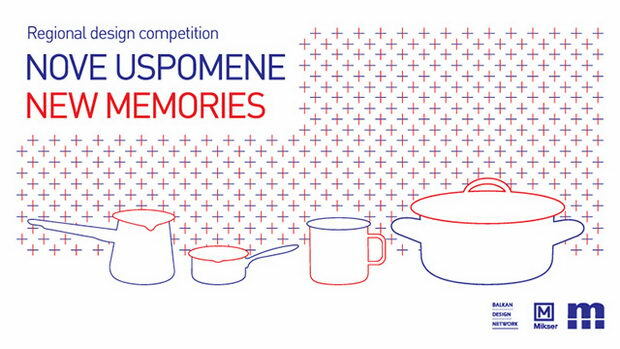 We are very happy to announce that our project Graphitecture won the second place, amongst the 235 entries, in the competition New Memories. The focus of the competition was to redesign the cult Metalac products for everyday use, owned by almost every household in the territory of former Yugoslavia, to reflect the ever-changing contemporary lifestyles, new found habits and daily rituals. Graphitecture is a collection based on the bold aesthetics of retro posters and the abstract graphic interpretation of iconic architectural structures in Belgrade. Fragments of the black and white pattern are applied on the different objects which when placed next to each other could potentially complete the illustration.